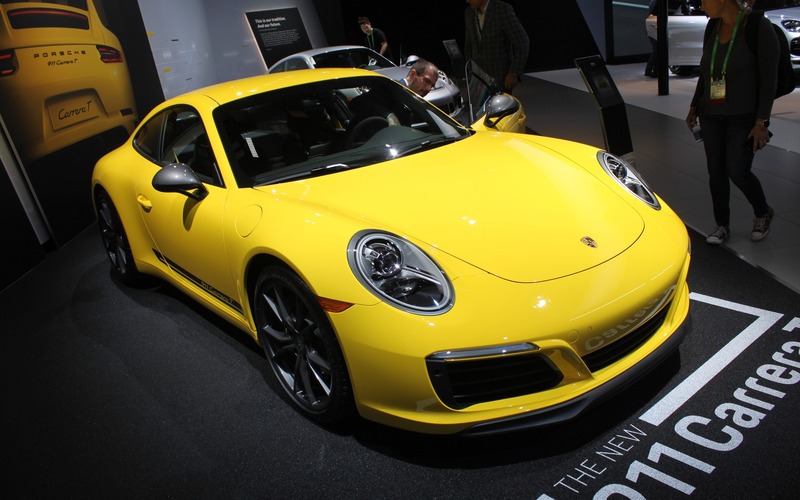 LOS ANGELES, California – The California market is an important one for Porsche, which justified the presentation of several new models at the Los Angeles Auto Show. 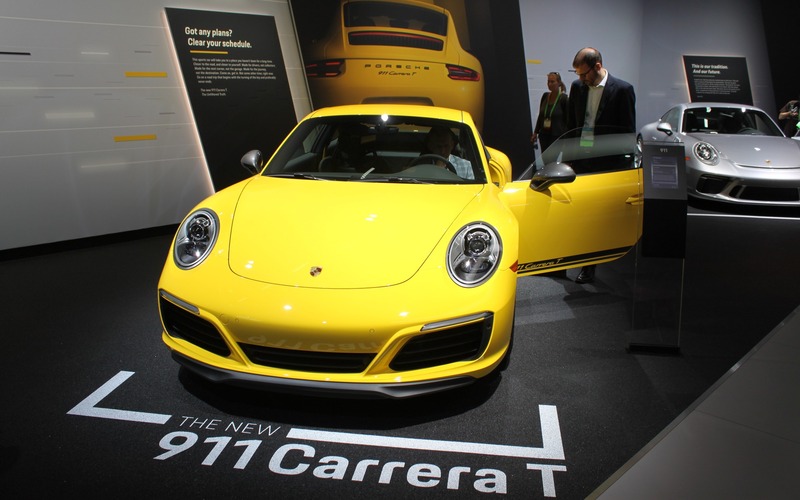 Since the automaker also opened a Porsche Experience Center in Carson, not too far away from L.A., it was necessary come out to the show in full force. Not one, not two, but three cars were premiered by Porsche in front of the thousands of journalists in attendance. First, it’s the 718 Boxster and Cayman models that opened the presentation. In GTS trim, these two sports cars receive the turbocharged, 2.5-litre four-cylinder engine, with 15 extra horsepower compared to the 350 already on duty in the S variants. The engine’s air intake plumbing was improved and its turbocharger was reworked as well. The trim is completed with a six-speed manual gearbox or an optional dual-clutch PDK transmission. The GTS versions also include the Sport Chrono package as well as Porsche’s torque vectoring and active suspension systems. Appearance-wise, the 718 Boxster GTS and 718 Cayman GTS set themselves apart with a slightly more aggressive front fascia as well as blacked-out headlight clusters and taillights. Exclusive 20-inch alloy wheels and GTS badging on the lower portion of the doors have also been thrown in for good measure. These new editions will arrive in Porsche dealerships during the first quarter of 2018. The 718 Cayman GTS will be priced from $90,600 while the 718 Boxster GTS will start at $93,000. The state of California is cleaner than any other region in the United States. Facing an increasing level of air pollution, state government adopted stricter emissions regulations some time ago, forcing consumers to change their purchase habits. Since then, California has become a hotbed for green vehicles. That’s one more reason explaining the unveiling of the Panamera Turbo S E-Hybrid, in Sport Turismo form. This luxurious and high-performance wagon is equipped with a turbocharged, 4.0-litre V8 accompanied by an electric motor, for a combined output of 680 horsepower. This unique car also boasts a torque peak of 626 pound-feet, good for a 0-100 km/h time of less than 3.4 seconds. Top speed is a claimed 310 km/h. And the dual-clutch, eight-speed PDK transmission manages that high-performance powertrain. In addition, this plug-in hybrid variant can cover a distance of up to 49 km in pure electric mode. Obviously, that’s under ideal conditions. Exploiting the full potential of this Panamera will likely see that range drop like a stone. Finally, our hosts served us dessert in the form of the 911 Carrera T. The older crowd will remember the 911 T of 1968, a lighter car that was conceived to cover the longest distances at very high speeds. That 911 T notably shined during the famous Monte Carlo rally. The nostalgic bunch will likely appreciate the T’s return after 50 years. The Carrera T distinguishes itself by a 20-mm drop in ride height, a standard Sport Chrono package, a shortened gearshift lever and some unique aerodynamic elements. It sheds 20 kilograms compared to the regular Carrera, and if we opt for the carbon fibre sport seats, the rear seats disappear. Also contributing to the weight loss are fabric pull handles that replace the conventional door handles, while the backlight and rear side windows are made of lightweight glass. We can even forego the car’s Porsche Communication Management (PCM) infotainment system. This latest incarnation of the 911 will be available in dealerships in the first quarter of 2018, at a starting price of CAN$116,500.